It seems like you’ve become quite used to this place too. Everything around you appears to be done well, so I’m relieved. But don’t get proud. Continue being diligent in the days after. 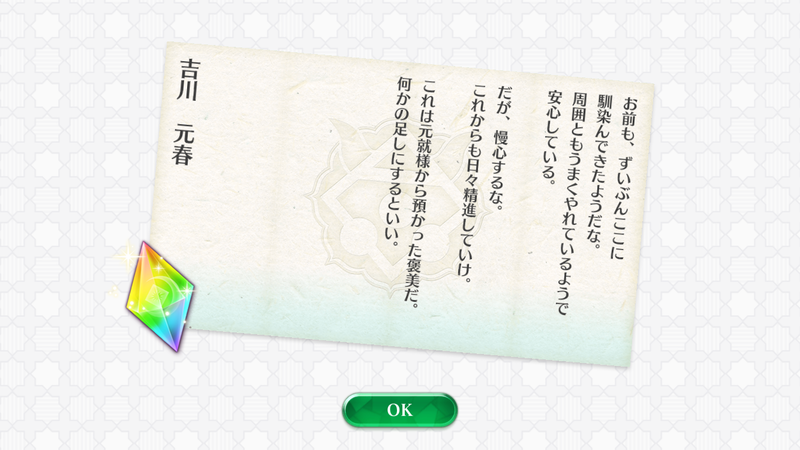 This is a reward Motonari-sama entrusted me to give to you. You can use it to supplement something. 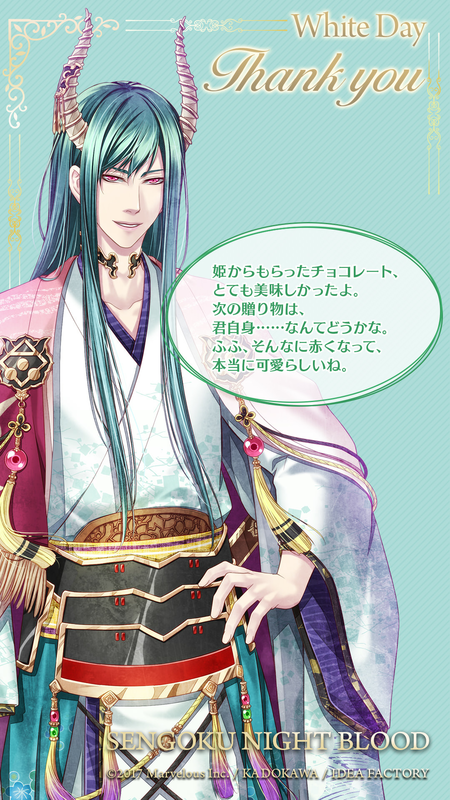 This entry was posted in Collaboration, Otome Games, Sengoku Night Blood and tagged Kadokawa, Marvelous!, Mobile, Otomate, SNB Motoharu.